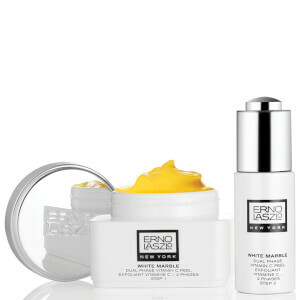 Get ready for your skin to rise and shine with the Erno Laszlo HydraTherapy Memory Sleep Mask. Penetrating skin overnight, the luxuriously lightweight formula melts into skin with a gel-texture inspired by NASA memory foam, working to replenish moisture levels when skin needs it most while you sleep. The unique treatment is fortified with 24-Hour Smart Hydrators – a blend of Prickly Pear, Green Ginger and Mugwort extracts – which attract water in even the most difficult circumstances, helping to protect and strengthen deeply dehydrated skin. The addition of Winged Kelp extract delivers a boost of fatty acids to replenish and encourage natural collagen and elasticity production, while an exclusive Recovery Complex derived from fruit seeks to neutralize free radicals and fortify skin’s defensive capabilities. Awaken to skin that feels supple and hydrated, with a youthful and healthy looking glow. This is the best mask I have ever used. I just purchased my second jar, which is a little pricey, but it is well worth it. It always gives me a glowing result, and I like the fact that I can put it on prior to going to sleep, or a few hours prior to a special evening out, and look well rested, with radiant, healthy skin. I strongly recommend this product.